Is there something specific that you would like to study? Is there a specific Jewish text that you would like to analyze more thoroughly? Do you have a very demanding schedule? 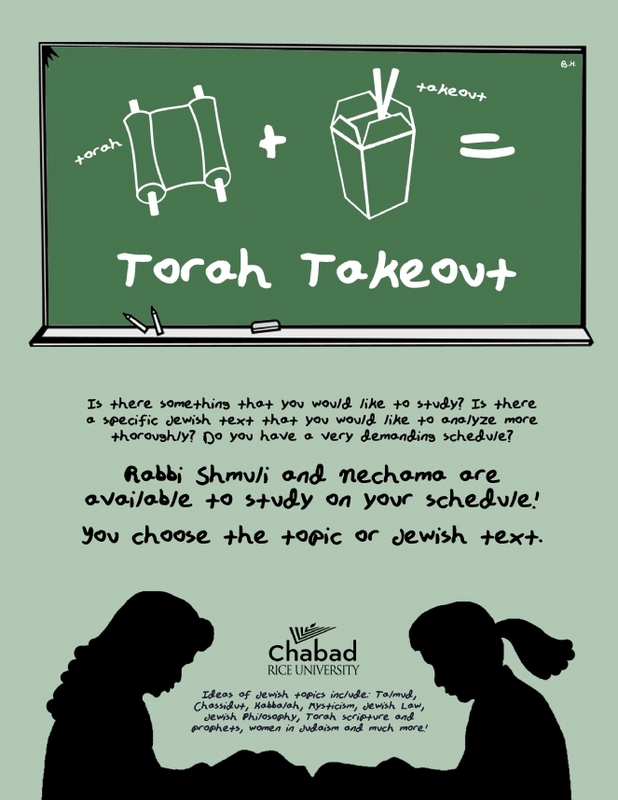 Rabbi Shmuli and Nechama are available to study with you at any time that is convenient for you! You choose the topic or Jewish text. Ideas of Jewish topics include: Talmud, Chassidut, Kabbalah, Mysticism, Jewish Law, Jewish Philosophy, Torah scripture and prophets, women in Judaism and much more!